2014 - Study ~ Magnolia dealbata seeds extract exert cytotoxic and chemopreventive effects on MDA- MB231 breast cancer cells. 2013 - Study ~ Combined antiproliferative effects of the aminoalkylindole WIN55,212-2 and radiation in breast cancer cells. 2013 - Study ~ Cannabinoids may be therapeutic in breast cancer. 2013 - Study ~ Inhibition Of Fatty Acid Amide Hydrolase Activates Nrf2 Signaling And Induces Heme Oxygenase 1 Transcription In Breast Cancer Cells. 2013 - Study ~ Inflammatory signaling as a therapeutic target for the treatment of breast cancer-induced bone pain. 2013 - Study ~ Differential Modulation of Tumor Cell Proliferation and their Endocannabinoid System by Polyunsaturated Fatty Acids. 2013 - Study ~ The natural compound magnolol inhibits invasion and exhibits potential in human breast cancer therapy. 2013 - Study ~ Magnolol induces apoptosis in MCF-7 human breast cancer cells through G2/M phase arrest and caspase-independent pathway. 2012 - News ~ Is Marijuana the Cancer Cure We’ve Waited For? 2012 - News ~ Cannabis Cures Cancer: Look at me, I’m Cancer Free! 2012 - Study ~ Betulinic Acid Targets YY1 and ErbB2 through Cannabinoid Receptor-Dependent Disruption of MicroRNA-27a:ZBTB10 in Breast Cancer. 2012 - Study ~ Cannabinoids: A new hope for breast cancer therapy? 2012 - Study ~ Disease modification of breast cancer-induced bone remodeling by cannabinoid 2 receptor agonists. 2012 - Study ~ Cannabidiolic acid, a major cannabinoid in fiber-type cannabis, is an inhibitor of MDA-MB-231 breast cancer cell migration. Therapeutic Target for Regulation of Cancer Growth. 2011 - Study ~ The endocannabinoid system and cancer: therapeutic implication. 2011 - Study ~ Crosstalk between chemokine receptor CXCR4 and cannabinoid receptor CB2 in modulating breast cancer growth and invasion. 2011 - Study ~ A role for L-alpha-lysophosphatidylinositol and GPR55 in the modulation of migration, orientation and polarization of human breast cancer cells. 2011 - Study ~ Crosstalk between Chemokine Receptor CXCR4 and Cannabinoid Receptor CB(2) in Modulating Breast Cancer Growth and Invasion. 2011 - Study ~ L-α-lysophosphatidylinositol meets GPR55: a deadly relationship. 2011 - Study ~ Cannabidiol induces programmed cell death in breast cancer cells by coordinating the crosstalk between apoptosis and autophagy. 2011 - Study ~ Pathways mediating the effects of cannabidiol on the reduction of breast cancer cell proliferation, invasion, and metastasis. 2011 - Study ~ Omega-3 N-acylethanolamines are endogenously synthesised from omega-3 fatty acids in different human prostate and breast cancer cell lines. 2010 - Study ~ Cannabinoids reduce ErbB2-driven breast cancer progression through Akt inhibition. 2010 - Study ~ Interaction of drugs of abuse and maintenance treatments with human P-glycoprotein (ABCB1) and breast cancer resistance protein (ABCG2). 2010 - Study ~ A role for L-alpha-lysophosphatidylinositol and GPR55 in the modulation of migration, orientation and polarization of human breast cancer cells. 2010 - Study ~ Abstract P1-11-23: Cannabinoid Receptor 2 Compounds in the Attenuation of Breast Cancer Cell Proliferation: Mechanisms of Action. 2010 - News ~ Cannabidiol researchers discover the switch to turn off aggressive breast cancer gene. 2010 - News ~ Medical marijuana news. 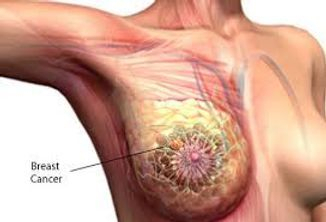 Cannabidiol stops the spread of breast cancer. 2009 - Study ~ Synthetic cannabinoid receptor agonists inhibit tumor growth and metastasis of breast cancer. 2009 - Study ~ Phantom breast syndrome. 2009 - Study ~ Cannabinoids in the treatment of cancer. 2009 - Study ~ CXCR4-chemokine receptor and Cannabinoid Receptor 2 (CB2) heterodimerization suggests a mechanism for breast metastasis regulation. 2008 - Study ~ Endocannabinoids in endocrine and related tumours. 2008 - Study - JunD is involved in the antiproliferative effect of Delta(9)-tetrahydrocannabinol on human breast cancer cells. 2008 - Study ~ The anandamide analog, Met-F-AEA, controls human breast cancer cell migration via the RHOA/RHO kinase signaling pathway. 2008 - Study ~ Design Logic of a Cannabinoid Receptor Signaling Network That Triggers Neurite Outgrowth. 2008 - Study ~ Delta(9)-tetrahydrocannabinol inhibits 17beta-estradiol-induced proliferation and fails to activate androgen and estrogen receptors in MCF7 human breast cancer cells. 2008 - Study ~ Cannabinoid receptor agonists inhibit growth and metastasis of breast cancer. 2008 - Study ~ Inhibition of Breast Cancer Aggressiveness by Cannabidiol. 2007 - Study ~ Cannabidiol as a novel inhibitor of Id-1 gene expression in aggressive breast cancer cells. 2007 - News ~ Marijuana Chemical Against Breast Cancer! 2007 - News ~ Cannabis compound 'halts cancer'. 2007 - News ~ Cannabis compound stops spread of breast cancer: researchers. 2007 - News ~ Marijuana Compound Shows Promise In Fighting Breast Cancer. 2007 - News ~ Cannabis compound may stop the spread of breast cancer cells. 2007 - News ~ Cannabis may stop Breast Cancer from spreading in the Body. 2007 - News - “Medical Marijuana” Takes On New Meaning for Metastatic Breast Cancer. 2007 - News - Cannabidiol may be helpful in reducing the aggressiveness of breast cancer cells. 2007 - News - Cannabis Compound May Stop Metastatic Breast Cancer. 2006 - Study - Antitumor Activity of Plant Cannabinoids with Emphasis on the Effect of Cannabidiol on Human Breast Carcinoma. 2006 - Study - Δ9-Tetrahydrocannabinol Inhibits Cell Cycle Progression in Human Breast Cancer through Cdc2 Regulation. 2006 - Article ~ Anandamide inhibits adhesion and migration of breast cancer cells. 2006 - Article ~ Cannabinoids As Cancer Hope. 2006 - News - Cannabidiol inhibits tumour growth in leukaemia and breast cancer in animal studies. 2006 - News - THC and prochlorperazine effective in reducing vomiting in women following breast surgery. 2006 - News ~ A combination of THC and prochlorperazine effective in reducing vomiting in women following breast surgery. 2006 - News - Cannabidiol Dramatically Inhibits Breast Cancer Cell Growth. 2000 - Study - Suppression of Nerve Growth Factor Trk Receptors and Prolactin Receptors by Endocannabinoids Leads to Inhibition of Human Breast and Prostate Cancer Cell Proliferation. 1998 - Study - The endogenous cannabinoid anandamide inhibits human breast cancer cell proliferation. Anandamide and 2-arachidonoylglycerol (2-AG), two endogenous ligands of the CB1 and CB2 cannabinoid receptor subtypes, inhibit the proliferation of PRL-responsive human breast cancer cells (HBCCs) through down-regulation of the long form of the PRL receptor (PRLr). Here we report that 1) anandamide and 2-AG inhibit the nerve growth factor (NGF)-induced proliferation of HBCCs through suppression of the levels of NGF Trk receptors; 2) inhibition of PRLr levels results in inhibition of the proliferation of other PRL-responsive cells, the prostate cancer DU-145 cell line; and 3) CB1-like cannabinoid receptors are expressed in HBCCs and DU-145 cells and mediate the inhibition of cell proliferation and Trk/PRLr expression. ß-NGF-induced HBCC proliferation was potently inhibited (IC50 = 50–600 nM) by the synthetic cannabinoid HU-210, 2-AG, anandamide, and its metabolically stable analogs, but not by the anandamide congener, palmitoylethanolamide, or the selective agonist of CB2 cannabinoid receptors, BML-190. The effect of anandamide was blocked by the CB1 receptor antagonist, SR141716A, but not by the CB2 receptor antagonist, SR144528. Anandamide and HU-210 exerted a strong inhibition of the levels of NGF Trk receptors as detected by Western immunoblotting; this effect was reversed by SR141716A. When induced by exogenous PRL, the proliferation of prostate DU-145 cells was potently inhibited (IC50 = 100–300 nM) by anandamide, 2-AG, and HU-210. Anandamide also down-regulated the levels of PRLr in DU-145 cells. SR141716A attenuated these two effects of anandamide. HBCCs and DU-145 cells were shown to contain 1) transcripts for CB1 and, to a lesser extent, CB2 cannabinoid receptors, 2) specific binding sites for [3H]SR141716A that could be displaced by anandamide, and 3) a CB1 receptor-immunoreactive protein. These findings suggest that endogenous cannabinoids and CB1 receptor agonists are potential negative effectors of PRL- and NGF-induced biological responses, at least in some cancer cells. Δ9-Tetrahydrocannabinol (THC) exhibits antitumor effects on various cancer cell types, but its use in chemotherapy is limited by its psychotropic activity. We investigated the antitumor activities of other plant cannabinoids, i.e., cannabidiol, cannabigerol, cannabichromene, cannabidiol acid and THC acid, and assessed whether there is any advantage in using Cannabis extracts (enriched in either cannabidiol or THC) over pure cannabinoids. Results obtained in a panel of tumor cell lines clearly indicate that, of the five natural compounds tested, cannabidiol is the most potent inhibitor of cancer cell growth (IC50 between 6.0 and 10.6 μM), with significantly lower potency in noncancer cells. The cannabidiol-rich extract was equipotent to cannabidiol, whereas cannabigerol and cannabichromene followed in the rank of potency. Both cannabidiol and the cannabidiol-rich extract inhibited the growth of xenograft tumors obtained by s.c. injection into athymic mice of human MDA-MB-231 breast carcinoma or rat v-K-ras-transformed thyroid epithelial cells and reduced lung metastases deriving from intrapaw injection of MDA-MB-231 cells. Judging from several experiments on its possible cellular and molecular mechanisms of action, we propose that cannabidiol lacks a unique mode of action in the cell lines investigated. At least for MDA-MB-231 cells, however, our experiments indicate that cannabidiol effect is due to its capability of inducing apoptosis via: direct or indirect activation of cannabinoid CB2 and vanilloid transient receptor potential vanilloid type-1 receptors and cannabinoid/vanilloid receptor-independent elevation of intracellular Ca2+ and reactive oxygen species. Our data support the further testing of cannabidiol and cannabidiol-rich extracts for the potential treatment of cancer. This study was supported by GW Pharmaceuticals (research grant to V.D.M.). ABBREVIATIONS: THC, Δ9-tetrahydrocannabinol; CB1, cannabinoid receptor type-1; CB2, cannabinoid receptor type-2; TRPV1, transient receptor potential vanilloid type-1; SR141716A, N-(piperidin-1-yl)-5-(4-chlorophenyl)-1-(2,4-dichlorophenyl)-4-methyl-1H-pyrazole-3-carboxamide HCl; SR144528, N-[(1S)-endo-1,3,3-trimethylbicyclo[2.2.1]heptan-2-yl]-5-(4-chloro-3-methylphenyl)-1-(4-methylbenzyl)-1-pyrazole-3-carboxamide; JWH-133, 1,1-dimethylbutyl-1-deoxy-Δ9-tetrahydrocannabinol; AM251, N-(piperidin-1-yl)-5-(4-iodophenyl)-1-(2,4-dichlorophenyl)-4-methyl-1H-pyrazole-3-carboxamide; AM630, 6-iodo-2-methyl-1-[2-(4-morpholinyl)-ethyl]-1H-indol-3-yl](4-methoxyphenyl)-methanone; ANOVA, analysis of variance; ROS, reactive oxygen species; RT, reverse transcription; PCR, polymerase chain reaction; GAPDH, glyceraldehyde-3-phosphate dehydrogenase; nt, nucleotide; PBS, phosphate-buffered saline; I-RTX, 5′-iodo-resiniferatoxin; HEK, human embryonic kidney; CBD, cannabidiol; BAPTA-AM, 1,2-Bis(2-aminophenoxy)ethane-N,N,N′,N′-tetraacetic acid tetrakis (acetoxymethyl ester). Cristina Sánchez, Department of Biochemistry and Molecular Biology I, School of Biology, Complutense University, 28040 Madrid, Spain. Phone: 34-913944668; Fax: 34-913944672; E-mail: csg@bbm1.ucm.es. It has been proposed that cannabinoids are involved in the control of cell fate. Thus, these compounds can modulate proliferation, differentiation, and survival in different manners depending on the cell type and its physiopathologic context. However, little is known about the effect of cannabinoids on the cell cycle, the main process controlling cell fate. Here, we show that Δ9-tetrahydrocannabinol (THC), through activation of CB2 cannabinoid receptors, reduces human breast cancer cell proliferation by blocking the progression of the cell cycle and by inducing apoptosis. In particular, THC arrests cells in G2-M via down-regulation of Cdc2, as suggested by the decreased sensitivity to THC acquired by Cdc2-overexpressing cells. Of interest, the proliferation pattern of normal human mammary epithelial cells was much less affected by THC. We also analyzed by real-time quantitative PCR the expression of CB1 and CB2 cannabinoid receptors in a series of human breast tumor and nontumor samples. We found a correlation between CB2 expression and histologic grade of the tumors. There was also an association between CB2 expression and other markers of prognostic and predictive value, such as estrogen receptor, progesterone receptor, and ERBB2/HER-2 oncogene. Italian researchers investigated the anti-tumour effects of five natural cannabinoids of the cannabis plant (cannabidiol, cannabigerol, cannabichromene, cannabidiol-acid and THC-acid) in breast cancer. Cannabidiol (CBD) was the most potent cannabinoid in inhibiting the growth of human breast cancer cells that had been injected under the skin of mice. CBD also reduced lung metastases deriving from human breast cancer cells that had been injected into the paws of the animals. Researchers found that the anti-tumour effects of CBD were caused by induction of apoptosis (programmed cell death). They concluded that their data "support the further testing of cannabidiol and cannabidiol-rich extracts for the potential treatment of cancer." These observations are supported by investigations of US scientists who found out that exposure of leukaemia cells to CBD led to a reduction in cell viability and induction of apoptosis. In living animals CBD caused a reduction in number of leukaemia cells. The scientists noted that CBD "may be a novel and highly selective treatment for leukemia." (Sources: Ligresti A, Schiano Moriello A, Starowicz K, Matias I, Pisanti S, De Petrocellis L, Laezza C, Portella G, Bifulco M, Di Marzo V. Anti-tumor activity of plant cannabinoids with emphasis on the effect of cannabidiol on human breast carcinoma. J Pharmacol Exp Ther. 2006 May 25; [electronic publication ahead of print]; McKallip RJ, Jia W, Schlomer J, Warren JW, Nagarkatti PS, Nagarkatti M. Cannabidiol-induced apoptosis in human leukemia cells: A novel role of cannabidiol in the regulation of p22phox and Nox4 expression. Mol Pharmacol. Researchers of the University of Arkansas and the Central Arkansas Veterans Hospital System investigated the effects of 5 mg oral THC and 25 mg rectal prochlorperazine on the rate of nausea and vomiting in women following breast surgery under general anaesthesia. The rate of nausea decreased from 59 per cent to 15 per cent and the rate of vomiting from 29 per cent to 3 per cent compared to non-treated patients. A retrospective review of 242 eligible patients, who underwent surgery between July 2001 and March 2003 was performed. 127 patients received surgery before September 2002 and did not receive a prophylaxis. 115 patients received surgery after September 2002 and were treated before surgery with oral THC (dronabinol) and rectal prochlorperazine. Data were collected from hospital records. Researchers concluded that post-operative nausea and vomiting (PONV) is a "significant problem in breast surgical patients. Preoperative treatment with dronabinol and prochlorperazine significantly reduced the number and severity of episodes of PONV." Compounds in marijuana inhibit cancer cell growth in animals and in culture on a wide range of tumoral cell lines, including human breast carcinoma cells, human prostate carcimona cells, and human colectoral carcinoma cells, according to preclinical trial data published in the May issue of the Journal of Pharmacology and Experimental Therapeutics. If you have breast cancer, you may have considered the use of “medical marijuana” at some point during your chemo treatment. Smoking marijuana has provided some women with relief from the nausea and vomiting that can accompany chemo, relief that the range of normal side effect drugs weren’t able to give. Some states permit the legal use of medical marijuana; most don’t. Nevertheless, most women who want to try marijuana seem to be able to get it. Personally, I didn’t experience any severe problems with nausea. But I was astounded at the number of people who, prior to treatment, offered to get me a supply if I thought I needed it! Now, doctors at the California Pacific Medical Center Research Institute in San Francisco have released a study, in the current issue of Molecular Cancer Therapeutics, that may in the future open the door to a much more critical use of marijuana: stopping the spread of metastatic breast cancer. It seems that a compound found in cannabis (the scientific name for marijuana), CBD, has been shown (in the lab) to stop the human gene Id-1 from directing cancer cells to multiply and spread. California Pacific Senior researcher Pierre-Yves Desprez, in an interview with HealthDay News, noted that the Id-1 genes “are very bad. They push the cells to behave like embryonic cells and grow. They go crazy, they proliferate, they migrate. We need to be able to turn them off." Desprez and fellow researcher Sean D. McAllister joined forces just two years ago. Desprez had been studying the Id-1 gene for 12 years; McAllister was a cannabis expert, but not involved in cancer research. Together they found that Id-1 is the “orchestra conductor” that directs breast cancer cells to grow and spread. And that CBD inhibits Id-1; it turns it off, puts it to sleep, pick your metaphor. Bottom line, it neutralizes it. And the cancer stops spreading. Both researchers pointed out that CBD is non-toxic and non-psychoactive. In other words, patients wouldn’t get high taking it. And its non-toxicity is an important attribute; Desprez and McAllister predict that, to be effective, patients might have to take CBD for several years. They also cautioned that smoking marijuana isn’t going to cure metastatic breast cancer; the level of CBD necessary to inhibit Id-1 simply can’t be obtained that way. While studies are still very much in the preliminary stages, it’s interesting to think that a plant that has been used medicinally for nearly 5,000 years may in the future be a key element in controlling cancer. As recently as 1937 (when it was outlawed in the U.S.), marijuana (“cannabis sativa”) was being touted as an analgesic, anti-emetic, narcotic, and sedative. Parke-Davis, once America’s oldest and largest drug manufacturer (and now a division of drug giant Pfizer), offered “Fluid Extract Cannabis” via catalogs. Until the invention of aspirin in the mid-1800s, cannabis was the civilized world’s main pain reliever. Now it’s illegal. Here’s hoping that someday soon cannabis returns, this time as a successful treatment for metastatic breast cancer. According to a clinical study with 125 patients conducted at several centres under the guidance of professor Turo Nurmikko of the Walton Centre for Neurology and Neurosurgery, Liverpool, the cannabis extract Sativex significantly reduced neuropathic pain. In this 5-week placebo-controlled study 63 patients received Sativex and 62 received placebo. Patients remained on their existing stable analgesia. Sixty-nine percent of patients were taking opioid analgesics. The mean reduction in pain intensity on a 0-10 scale was significantly greater in patients receiving Sativex than placebo (mean reduction -1.48 points vs. -0.52 points). Significant improvements were seen in other parameters including sleep, pain disability index and patient's global impression on change. Side effects were usually mild or moderate. Of all participants, 18 per cent on Sativex and 3 per cent on placebo withdrew during the study. An open-label extension study showed that the initial pain relief was maintained without dose escalation for 52 weeks. In a mouse model of metastatic breast cancer the natural non-psychotropic cannabinoid cannabidiol (CBD) reduced the aggressiveness of breast cancer cells. CBD inhibited a protein called Id-1. Id proteins play an important role in tumour cell biology. The researchers of the California Pacific Medical Center Research Institute concluded that "CBD represents the first nontoxic exogenous agent that can significantly decrease Id-1 expression in metastatic breast cancer cells leading to the down-regulation of tumor aggressiveness." 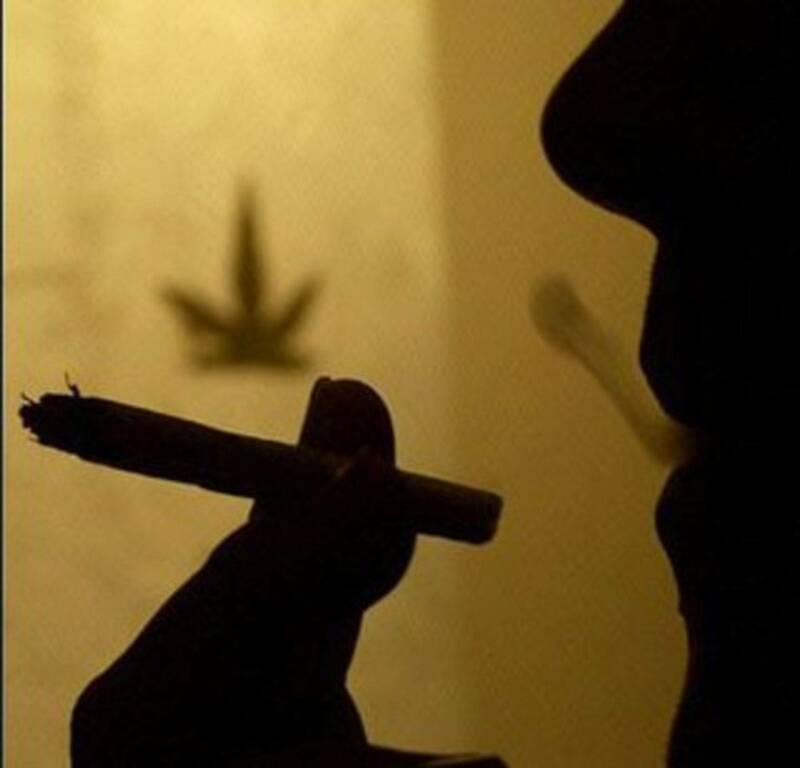 The authors stressed that they were not suggesting patients smoke cannabis. They added that it would be highly unlikely that effective concentrations of CBD could be reached by smoking cannabis. Lead researcher Dr. Sean McAllister said: "Right now we have a limited range of options in treating aggressive forms of cancer. Those treatments, such as chemotherapy, can be effective but they can also be extremely toxic and difficult for patients. This compound offers the hope of a non-toxic therapy that could achieve the same results without any of the painful side effects." It has been recently shown that cannabinoids, the active components of marijuana and their derivatives, inhibit cell cycle progression of human breast cancer cells. Here we studied the mechanism of Delta(9)-tetrahydrocannabinol (THC) antiproliferative action in these cells, and show that it involves the modulation of JunD, a member of the AP-1 transcription factor family. THC activates JunD both by upregulating gene expression and by translocating the protein to the nuclear compartment, and these events are accompanied by a decrease in cell proliferation. Of interest, neither JunD activation nor proliferation inhibition was observed in human non-tumour mammary epithelial cells exposed to THC. We confirmed the importance of JunD in THC action by RNA interference and genetic ablation. Thus, in both JunD-silenced human breast cancer cells and JunD knockout mice-derived immortalized fibroblasts, the antiproliferative effect exerted by THC was significantly diminished. Gene array and siRNA experiments support that the cyclin-dependent kinase inhibitor p27 and the tumour suppressor gene testin are candidate JunD targets in cannabinoid action. In addition, our data suggest that the stress-regulated protein p8 participates in THC antiproliferative action in a JunD-independent manner. In summary, this is the first report showing not only that cannabinoids regulate JunD but, more generally, that JunD activation reduces the proliferation of cancer cells, which points to a new target to inhibit breast cancer progression. (HealthDay News) -- A non-toxic, non-psychoactive compound in marijuana may block the progress of metastatic breast cancer, according to a new study by researchers in California. "This is a new way to treat a patient that is not toxic like chemotherapy or radiotherapy. It is a new approach for metastatic cancer," said lead researcher Sean D. McAllister, an associate scientist at the California Pacific Medical Center Research Institute in San Francisco. The compound found in cannabis, called cannabidiol (CBD), inhibits a gene, Id-1, that researchers believe is responsible for the metastatic process that spreads cells from the original tumor throughout the body. Opting for a musical metaphor, senior researcher Pierre-Yves Desprez likened Id-1 to "an [orchestra] conductor. In this case, you shoot the conductor, and the whole orchestra is going to stop. If you shoot the violinist, the orchestra just continues to play." In humans, the Id-1 gene is found only in metastatic cancer cells, said Desprez, a staff scientist at the institute. Before birth, they are present and involved in the development of human embryos, but after birth, they go silent -- and should stay that way, he said. But in metastatic cancer "when [the genes] wake up, they are very bad," he said. "They push the cells to behave like embryonic cells and grow. They go crazy, they proliferate, they migrate." Desprez said, "We need to be able to turn them off." According to the study, CBD does exactly that. "We are focusing on the latest stages of cancer," Desprez added. The cancer cell itself is not the problem, because a tumor can be "removed easily by surgery," he said. The problem is the development of metastatic cells which is "conducted" by Id-1. McAllister and Desprez said they arenotsuggesting that patients with hormone-independent metastatic breast cancer smoke marijuana. For one thing, a sufficient amount of CBD could never be obtained in that way, they said. The research that has been done on marijuana and its compounds, however, is helpful, McAllister, said. CBD has been around for a long time, and researchers have found it is not psychoactive, and its "toxicity is very low," he added. The new findings are published in the November issue ofMolecular Cancer Therapeutics. If McAllister's and Desprez's work results in the development of a cancer treatment, someone with metastatic cancer might be placed on CBD for several years. That means low toxicity is important, McAllister explained. McAllister also suggested that Id-1 is "so important in providing the [metastatic] mechanism in these cells in so many types of cancers" that they "provide us an opportunity potentially to target other types of cancers." The study's findings were "were a serendipitous discovery, in a way," McAllister said. Desprez noted that he had been working on the Id-1 gene for 12 years. His lab had demonstrated that it was a key gene for invasive breast cancer and tumor progression, and Desprez had found a way to inhibit it in mice, but not in humans. Then, two years ago, McAllister -- an expert on cannabinoids -- and Desprez, a cancer researcher, started to work together. Through their combined forces "what we found is actually what I was looking for for the last 12 years," Desprez said. Further study is needed before CBD can be conclusively identified as a treatment option, McAllister and Desprez said. "We need to involve a team of physicians, because we are bench [basic] scientists," McAllister said. One expert called the findings intriguing but preliminary. "This is the first evidence that a cannabinoid can target the expression of an important breast cancer metastasis gene," noted Manuel Guzman, a Spanish expert on cannabinoids and cancer. He described the California study as giving "preliminary insight into the question of whether CBD could be used clinically to treat metastatic breast cancer." However, "all the experiments in the paper have been conducted in cultured cells and none of them in any animal model of breast cancer, which would be one of the steps for further research," added Guzman, who is a professor of biochemistry and molecular biology at Complutense University in Madrid. Guzman also noted that "Id-1 is just one of many genes involved in breast cancer metastasis" and that future research also needs to examine the impact of CBD on these other metastasis genes. There's more on breast cancer at the U.S. National Cancer Institute. Anandamide was the first brain metabolite shown to act as a ligand of “central” CB1 cannabinoid receptors. Here we report that the endogenous cannabinoid potently and selectively inhibits the proliferation of human breast cancer cells in vitro. Anandamide dose-dependently inhibited the proliferation of MCF-7 and EFM-19 cells with IC50 values between 0.5 and 1.5 μM and 83–92% maximal inhibition at 5–10 μM. The proliferation of several other nonmammary tumoral cell lines was not affected by 10 μM anandamide. The anti-proliferative effect of anandamide was not due to toxicity or to apoptosis of cells but was accompanied by a reduction of cells in the S phase of the cell cycle. A stable analogue of anandamide (R)-methanandamide, another endogenous cannabinoid, 2-arachidonoylglycerol, and the synthetic cannabinoid HU-210 also inhibited EFM-19 cell proliferation, whereas arachidonic acid was much less effective. These cannabimimetic substances displaced the binding of the selective cannabinoid agonist [3H]CP 55,940 to EFM-19 membranes with an order of potency identical to that observed for the inhibition of EFM-19 cell proliferation. Moreover, anandamide cytostatic effect was inhibited by the selective CB1 receptor antagonist SR 141716A. Cell proliferation was arrested by a prolactin mAb and enhanced by exogenous human prolactin, whose mitogenic action was reverted by very low (0.1–0.5 μM) doses of anandamide. Anandamide suppressed the levels of the long form of the prolactin receptor in both EFM-19 and MCF-7 cells, as well as a typical prolactin-induced response, i.e., the expression of the breast cancer cell susceptibility gene brca1. These data suggest that anandamide blocks human breast cancer cell proliferation through CB1-like receptor-mediated inhibition of endogenous prolactin action at the level of prolactin receptor. L.D.P. & D.M. contributed equally to this work.